Loss and damage is a “hot topic” in climate change negotiations. For a long time, in fact, it was “too hot to handle” with developed and developing countries divided over issues such as causation and possible compensation. With the signing of the Paris agreement on April 22, loss and damage has become a permanent feature in the global climate regime. Yet the disaster fire in Fort McMurray Canada reminds us that complexities in science and policy remain and outstanding questions on ecosystem management need to be addressed. It also highlights the urgent need to translate signatures into action. Since May 2, the Fort McMurray fire has decimated over 240,700 hectares of boreal forest and destroyed over 2,400 buildings. Insurance losses are estimated at over 9 billion Canadian dollars. Alarmingly these figures are small: between 1997 and 2008 wild fires scorched 330-431 million hectares of global vegetation each year. That is an area nearly twice the size of Mexico. Disaster fires affect every region of the world and every vegetated biome. We must try to avoid loss and damage by managing our ecosystems better. After a devastating fire season in 2015 – with over 6,000 fires burning over 121,000 hectares of forest land – California is going in the direction of controlled burns. Controlled burns get rid of woody debris that fuels forest fires. Although species react in different ways, controlled burns can actually help ecosystems spring to life. Parks Canada reports that wood-pecker populations may increase fifty times. Aspen, raspberry, and rose sprout from underground roots. Yet according to Macleans, controlled burns are underused. Parks Canada has planned to burn 13,982 hectares in 2016. In the US, the National Interagency Fire center reports 37,263 controlled burns in 2015, covering nearly 1.2 million hectares. Other tools are needed. According to the Paris Agreement, action on loss and damage could include developing early warning systems, emergency preparedness, and risk insurance. Currently less than half of the countries in the world have a national fire warning system in place. Fire warnings can be used to pre-position fire fighters and equipment, helicopters, and fixed wing air tankers. Money for preparatory action can also be released based on pre-defined thresholds within forecasts. Such “forecast based action” is being tested for other climate extremes in Peru and Uganda by the Red Cross and the World Food Program is linking “climate and hazard forecasting with flexible multi-year financing”. Social protection mechanisms need to be strengthened and access to insurance improved. Several governments in Africa and the Caribbean have put money into regional risk pools, such as the African Risk Capacity and the Caribbean Catastrophe Risk Insurance Facility, which provide payouts for damages from floods and droughts. 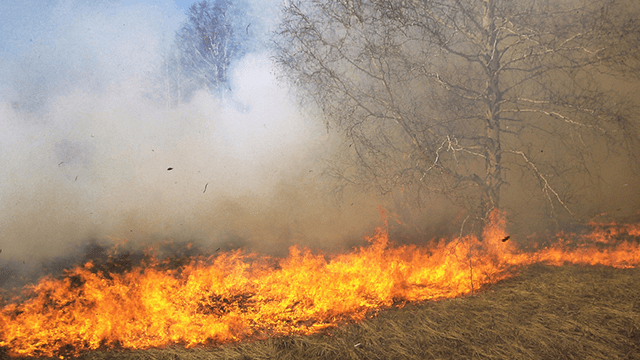 With cumulative seasonal fire severity expected to increase by up to 300% in boreal regions, northern countries will face unprecedented demands for fire suppression resources. Canada, the US, Russia, Norway and others may want to look into creating a risk pool for climate-related hazards. Ultimately, if our climate is changing, human systems must also change. Urban areas are expanding at a relentless pace. For communities to be truly sustainable, all of our systems―building codes, insurance policies, market-based incentives, community planning and early warning systems―must change to reduce risks. We need to have better ecosystem services management, and it needs to be integrated into a coordinated suite of policies that sustain human settlements in dangerously shifting conditions. Only then can we “dampen” loss and damage. The co-authors have contributed to a forthcoming UNEP report, Loss and Damage: The Role of Ecosystem Services, which will be available here.